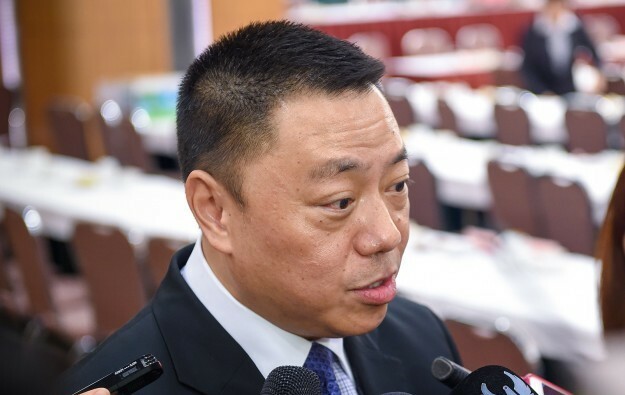 Macau casino operator Wynn Macau Ltd will get 100 new-to-market live gaming tables for the opening of its US$4.2-billion Wynn Palace property in Cotai, said Macau’s Secretary for Economy and Finance, Lionel Leong Vai Tac (pictured), in comments on Friday. The tables are being granted only for the mass-market segment, Mr Leong added, as quoted by public broadcaster TDM. The government official also said that Wynn Macau would be granted an additional 50 new-to-market tables in two separate phases: 25 tables on January 1, 2017; and the remaining 25 on January 1, 2018, reported TDM. Mr Leong told reporters that the government’s decision was made based on “consideration of several factors”, including the new non-gaming features to be offered by Wynn Palace, opening on August 22 in the city’s Cotai district. The casino operator had applied for 400 new-to-market gaming tables, Mr Leong said on Friday. The official stated that the allocation of the new tables had to comply with Macau’s table cap system. The Macau table cap scheme, effective since 2013, is designed to limit compound annual growth in the number of new live gaming tables to three percent until December 2022. Wynn Resorts Ltd – the parent firm of Wynn Macau Ltd – said on July 28 it was likely to receive only 100 new-to-market gaming tables for the launch of Wynn Palace. The firm said at the time that if it received an allocation of 100 new table games for its Cotai project, it would “move approximately 250 table games from Wynn Macau [casino hotel] to Wynn Palace”. That would result in “approximately 350 table games at Wynn Palace and 270 table games at Wynn Macau,” added Wynn Resorts. The number of tables granted to Wynn Palace is considerably lower than the 250 gaming tables allocated to, respectively, the opening of Galaxy Macau Phase 2, developed by Galaxy Entertainment Group Ltd; and to Studio City, majority owned by Melco Crown Entertainment Ltd. Galaxy Macau Phase 2 and Studio City were the latest large-scale properties to open in Macau, respectively in May and October 2015. Analyst Grant Govertsen of Union Gaming Securities Asia Ltd said the table allocation to Wynn Palace “does raise concerns on how an operator can ultimately get to where they need to be on a longer-term basis with only 150 tables on a US$4 billion+ investment”. “While we do think it is possible that the company could apply for more tables post-2018, we are more comfortable being on the sidelines for the time being and until we get more clarity on how future table allocations will be dealt with (for all operators),” Mr Govertsen added in a note on Friday.